The city of Valladolid in its railway history. Through the Castilian capital crossed the trunk line of the company NORTE between Madrid and Irún, origin of numerous lines and branches that ended up communicating the Spanish capital with all the northwest and north of Spain, due to the radial circumstance of the railroad of our country. The importance of the place led to the creation of perhaps the most important workshops of the railway company, still today a very important center of the railway maintenance section of the current Renfe Operadora. Valladolid was also the origin of a modest but extensive network of secondary railways to Medina de Rioseco first and then extended to Palanquinos, Villada and Palencia. 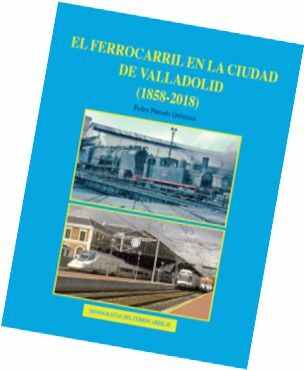 An ephemeral tramway network and the connection of the two aforementioned railways through the city complete the railway panorama of Valladolid which is detailed in this book. Full review not yet available.